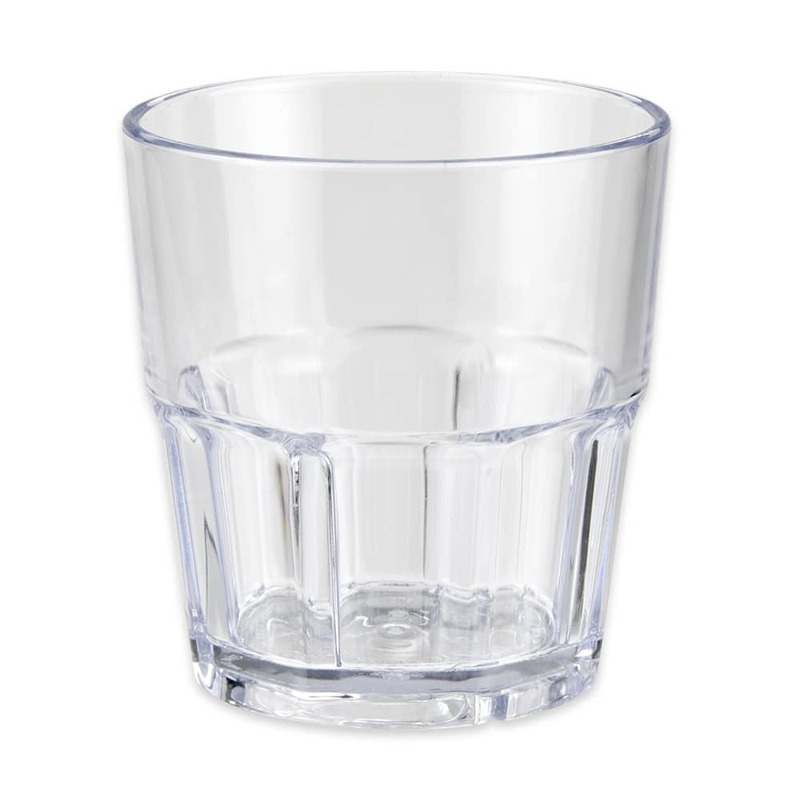 The GET 9909-1-CL Bahama™ tumbler is clear, which makes it easy for servers to see when refills are needed. Vertical panels around the bottom of the cup provide diners a grip on the cup. Since it is made of SAN plastic, the GET 9909-1-CL Bahama tumbler is durable and resists breaking. 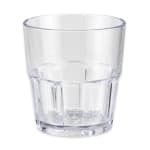 This 3.25-inch diameter and 3.5-inch tall tumbler has a true capacity of 9 ounces and a rim-full capacity of 9.45 ounces. Liquid capacity of 9 oz. Rim-full capacity of 9.45 oz. "The only detail is that 2 of them came broke n"